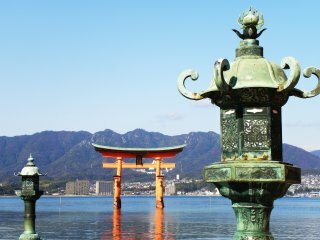 Bronze dai-toro platform lanterns with floating torii gate and mountains in the background. The lantern on the left is actually in between two lanterns. Did you notice the difference in metalwork on each lantern's head? 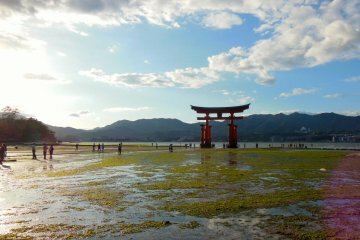 Standing next to Itsukushima Shrine, Gojunoto, the 5-storied pagoda is a beautiful blend of Japanese and Chinese architectural styles. 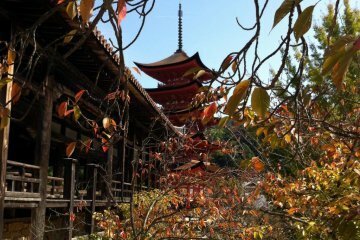 The pagoda is dedicated to the Buddha of Medicine as well as the two Buddhist saints, Fugen and Monju. 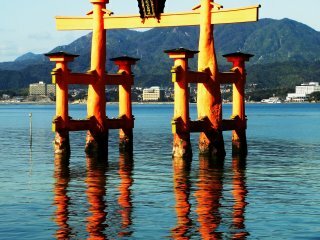 The torii gate is said to 'float' but the reflection on the water in this shot reminded me that the gate's 'roots' were actually quite deep. 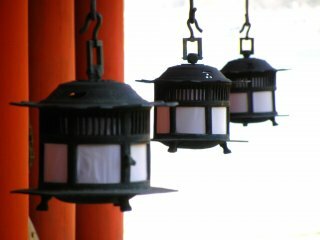 Tsuri-doro hanging lanterns in the shrine complex. In a holy space, the white light of heaven is all around. 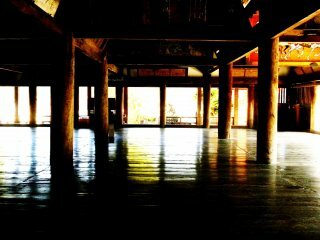 The interior of Senjokaku Hall, next to Itsukushima Shrine. 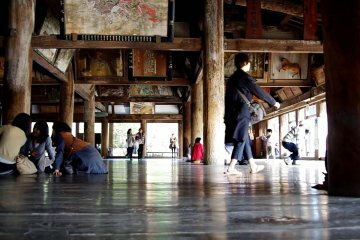 Built to house a Buddhist library, construction stopped when its benefactor, Hideyosho Toyotomi, died. The hall remains unfinished to this day. A slight change in angle and position and the entire majesty of the gate undergoes a dramatic shift. This shot of the UNESCO World Heritage site suggests vulnerability. They often say that the devil is in the details. 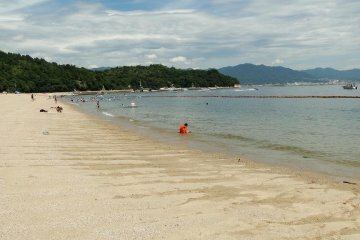 But when it comes to Itsukushima, or Miyajima as it is more commonly known, they couldn't be further from the truth. Heaven is everywhere. Resting as it does above the water, Itsukushima Shrine is a stunningly beautiful construction. Details of perspective abound, particularly with its tōrō lanterns. The shrine's famous torii floating gate is perhaps even more impressive. Simple changes in how you view the gate can be most revealing. Is it wrong to feel the gate as marking the entrance to the ocean rather than shrine complex? 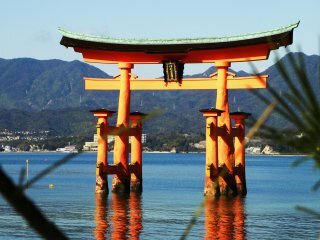 The divinity of Miyajima may very well be in how you find its details. It's a lovely place. I hope you get the chance sooner rather than later. This is one of my -many- favorite places! 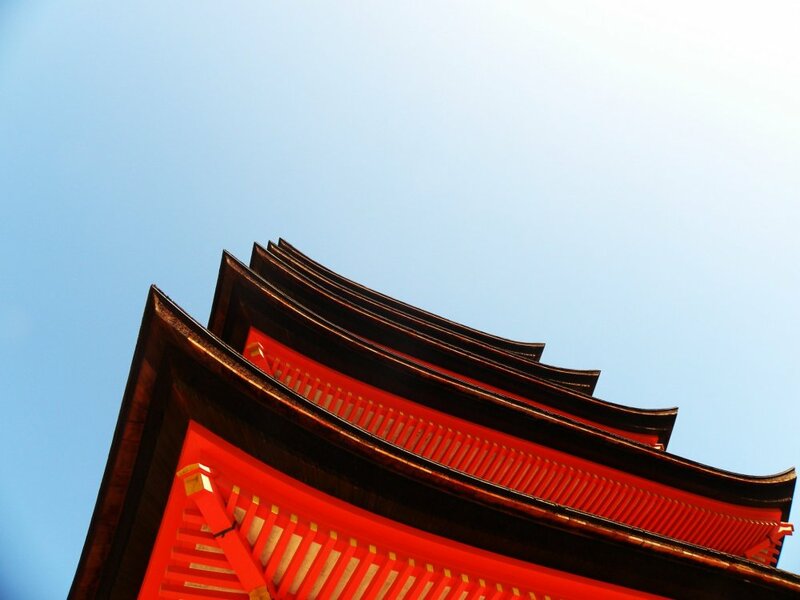 I liked your different angles photos of the torii. It's hard not to have many favourite places! That torii is fascinating.